They stay positive with all of their might. all the while with a smile and a blether”. 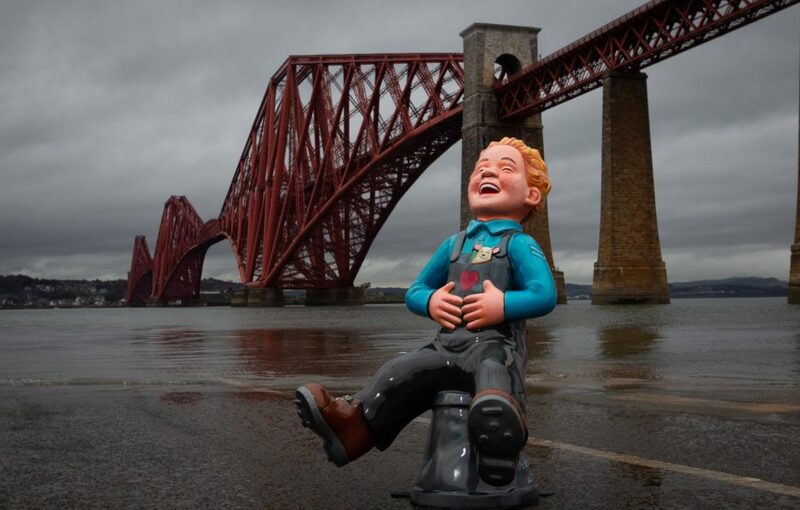 Artists Rhiannon Moore and Angela Nisbet have collaborated in the creation of this poignant sculpture, which is the ARCHIE Foundation’s Oor Wullie. It tells the story of a wee boy who has been very brave, whilst he was in hospital having an operation to mend his heart. He’s very proud of the badges given to him by the kind doctors and nurses, who kept him smiling at a time when he was very scared. Every one of the sculptures in Oor Wullie’s BIG Bucket Trail will be unique, and tell their own amazing stories. What do you think of our Brave Wee Boy?